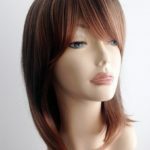 We are a UK based established online retailer of high quality synthetic fashion wigs, we offer a fantastic range of wigs at affordable prices, we do not mislead our clients by using images of wigs that are not in stock. 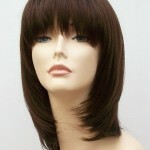 The majority of photos are taken by us in our studio at Wig Store UK. We offer a friendly, efficient and discreet service, all our products are delivered direct to your door in plain waterproof packaging. There will be no mention whatsoever of the word ‘wig’ on the outer packaging ensuring that your purchase from us is confidential and discrete. We never advertise our company name on the outer package, so nobody will ever know the contents. Our range of wigs are excellent for all purposes, fashion wig wearers, alopecia sufferers, cancer patients, or people who just want to have a change of style without the commitment of colouring or cutting their own hair. We pride ourselves on great value and customer service, all our orders are dispatched swiftly once payment has been received. 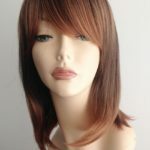 Here at Wig Store UK we are always updating and extending our range of wigs, we are always looking to offer the best in terms of style and affordability. If you compare the price of a wig to a colour and style at a hairdressing salon, you save money and the end result is that you have a product you can keep and use time and time again. Our wigs are light and versatile, we have an amazing range of colours and styles, lots of which can be just shaken out and worn, no need to spend time styling and bad hair days are thing of the past. All our wigs have a light net adjustable cap, which fits most head sizes, men or women, there is no need for extra pins and tape, simply adjust the fastenings at the nape of the neck to suit your individual needs. Read our Testimonial Section, this really gives a great insight into what our customers think of our products and service. We have a loyal customer base, who come back to us time and time again. This is very important to us, and we always offer the best in terms of service and quality wigs. We have a fantastic long term relationship with our manufacturers, and as we design and buy direct from them our prices are kept at an affordable level. We do not compromise on customer service, we want our customers to return, and we believe that our policy of high levels of customer service is the key. 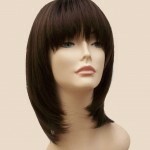 Boost your confidence and self-esteem with a wig from www.wigstoreuk.co.uk, we are sure you will be delighted with the results.